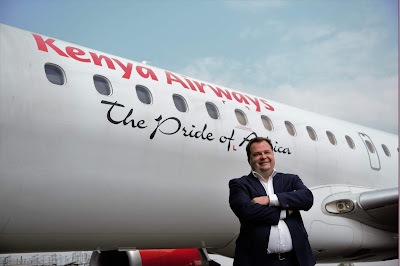 The new chief executive of Kenya Airways Sebastian Mikosz is known for improving LOT Polish Airline. Kenya Airways is renegotiating its debt with local banks. What progress have you made so far? We are hopeful the banks will convert part of the money owed into equity. I am not at liberty to divulge much information at this point but we are at the final stages of the negotiations. Before your arrival, KQ had started a transformation journey dubbed Project Pride. Do you intend to carry on with it? Project Pride had the advantage of being systematic. I believe what has been done so far has been beneficial. I want to continue with its methodology. But for an airline, decisions take time to manifest. We are reviewing the financial status one line at a time and ticking what needs to be done. There are things that we can renegotiate in the short term, and we have started doing that, but there are also those that will take longer. For example, we cannot pull out of an exclusive contract or out of an airport at the snap of a finger; or terminate people who have been assigned tasks till the end of year. We are redesigning what is within KQ’s operation, there is a team for that. My job is to bring about financial results and there is a technical way of achieving that. Part of what your predecessor did was release some of the wide body aircraft in a bid to cut costs. But considering plans to launch direct flights to the US, do you have the long-haul aircraft to handle the route? We subleased some planes, three 777s to Turkish Airlines and two 787 to Oman Air. I don’t see us bringing back the 777s in the short term, and quite honestly also in the long term. My decision is to stick to the 787. It is a very good plane. It gives us exactly what we need in the short term. We can fly it to Europe, Asia, big African airports and even the US when that time comes. To control the cost of these long-haul aircraft, the more of the same type of fleet you have the better your margins. If you have different types, then you need separate crew, spare parts and different operations. For an airline, having less than 10 aircraft of a certain type is not efficient. We have nearly 10 Dreamliners 787, so we are good at operating them. I hope in the future we will have more of these aircraft but from a wide-body perspective, we are good. When should we expect the first direct flight to the US? I would be cautious about commenting on the date because launching a regular flight is a complex operation. Besides the security details, there are other procedures like negotiating the slots, having contractors in New York, putting the flight in the IT system, preparing the crew and, the most important part, having commercial agreements. It is easy to fly but it is even easier to fly an empty aircraft. You are mostly known for turning around LOT Polish Airline; how will you use the experience at KQ? The situation at KQ is similar to LOT’s where issues are handled only in a certain way. There is a need for a shift in mindset. There is no African or other way of doing things; there is only a good way and a bad way. I have seen companies in Asia, Europe and many other places suffer similar problems. All you have to do is make the right decisions and offer customers what they need. There is no easy way out and there will be decisions that will rub some people the wrong way. You brought on board staff you had worked with at LOT. Why did you? First of all they are not part of the management; they are working with the management. I brought in people whom I trust to work with the team. How much capital is locked up in African countries that do not allow free movement of foreign currency? We have large amounts in Burundi and Angola. For the other countries, we are trying to negotiate and pull the money out. This is an issue we have tried to negotiate within the African Airlines Association as it does not affect KQ only. It is something that worries me because you have a profitable route but if you bring in the impact of the capital lock it becomes unprofitable. KQ has been losing key talent, particularly pilots and engineers. How do you plan to address this issue? We shall be professional about it, by focusing on training our pilots in Kenya. We presented the proposal to the board because we believe there is a huge potential of training young Kenyans. The airline has its own training centre. There are other options like bringing in foreign pilots for a while but this will not resolve the issue. There are concerns about the cost of KQ tickets. Wouldn’t it be wise to lower the price of tickets and attract higher load factors? I disagree that our tickets are overpriced. We must remain competitive. The whole issue revolves around balancing revenue, yield, load factor and being profitable. My job is to strike a balance and the more revenue I have the better I am able to do so. So load factor is one of the key measurements, but we have routes with low load factors like 55 per cent that are quite profitable. Some emerging regional airlines are threatening to eat into your market share. How do you plan to respond to them? I am here to work on KQ in the environment given to me. However, I appeal to the government to look at the broader picture of how our competition is structured and financed. Look at Turkish Airlines for example, where the government controls everything; the same applies to Emirates, Etihad, Qatar and Ethiopia. We are operating in an open competitive market well aware that these guys can hit us. Mr Sebastian Mikosz is aged 44. Mikosz Sebastian has over 20 years of experience in executive management in the private and public sectors. Mr Mikosz is a graduate of the Institute of Political Studies in France and holds a Master’s degree in Economics and Finance from Sciences Po Paris. Before joining KQ, Mr Mikosz was CEO of online travel agent eSky.pl for 15 months. He previously held the position of CEO of LOT Polish Airline. Mr Mikosz has also worked with audit firms Arthur Andersen, where he started his career in 1997 in Paris, and Deloitte as a director at its Warsaw office. He also served as vice president of the Polish Information and Foreign Investment Agency between 2003 and 2006. Mr. Sebastian Mikosz has been Group Managing Director, Chief Executive Officer and Director of Kenya Airways Limited since June 01, 2017. Mr. Mikosz served as the President of Management Board at LOT Polish Airlines S.A. since February 2013, also served as its Chief Executive Officer and President. Mr. Mikosz served as President of Management Board and Chief Executive Officer at eSKY.pl SA since February 2016. He served as President Member of Management Board of LOT Polish Airlines until 2010 and served as its Acting Chief Executive Officer and Member of the Management Board. He served as President of the Management Board at Polskie Linie Lotnicze LOT since 2009 and also from March 2013 to August 2015. He served as Senior Advisor in the Corporate and Investment Banking Department at Societe Generale from 2011 to 2013. He served as Managing Director at CCiFP from 2001 to 2003. In 2000, he worked on establishing the first independent online brokerage house in Poland. He served as General Director of the French Chamber of Commerce and Industry in Poland since 2001. He served as Managing Director of the French Chamber of Commerce and Industry in Poland (CCIFP). He served as Vice President of the Polish Information and Foreign Investment Agency since June 2003 until September 2006 and supervised the Departments of Investor Assistance, Regional Cooperation and Research and Analysis. He served as Managing Director at the Warsaw office of Amrop Hever, a HR consultancy company. He has gained his professional experience working in Poland and France. He has over 20 years of professional experience in executive management both in the private and public sector. He started his career in 1997 with Arthur Andersen office in Paris, where he specialized in investments in the emerging markets. He also held various non-executive roles as Supervisory Board member. He served as Chairman of the Supervisory Board at WRO-LOT Uslugi Lotniskowe Sp. z o.o. from September 2013 to May 2015 and EuroLOT from May 2009 to December 2010. He served as Vice-Director at Polska Agencja Informcji I Inwestycji Zagranicznych from 2003 to 2006. He has been a Member of the Supervisory Board at Przedsiebiorstwo Handlu Zagranicznego Baltona S.A. since May 18, 2016. He has been a Member of the Supervisory Board at Eurobank since November 2015 and LOTAMS since February 2015. He serves as Member of the Supervisory Board at Euro Bank S.A. Mr. Mikosz served as a Director at Deloitte Business Consulting from 2007 to 2009. He served as a Member of the Supervisory Board at Eurobank from June 2011 to February 2013 and PKS Cieszyn from June 2003 to September 2009. Mr. Mikosz holds a Master’s degree in Economy and Finance from the Sciences Po Paris. He’s bilingual in French and fluent speaker of English and Russian. After working for so many years, I always wonder why so many companies make terrible decision in picking their CEO. Take Sebastian Mikosz as an example, he never turnaround LOT Polish airlines as he claims. It is totally a daylight lie as he just used the compensation from Boeing in 2014 as treated it as operating profit. Anyone who has a brain would question why LOT lost more than US70M in 2015 in such a big contrast to 2014. The board of Kenya Airways especially their chairman Michael Jospeph should resign immediately taking full responsibility for hiring the most stupid and incompetent CEO. The headhunter who referred the fat Polish pig Sebastian Mikosz should be condemned for not checking the so-called achievements of each candidate. As a headhunter, they should know many candidates lie and exaggerate in their resume to get the job. Sebastian Mikosz is one of those candidates who lies shamelessly in his resume. Facts do not lie. Time will tell how stupid and incompetence the fat pig from Poland is. The new service to New York is an iron fact to prove the stupidity of Sebastian Mikosz and his dream team. This fat pig created a mess at LOT Polish airlines and he is now doing the same to Kenya Airways. All the employees of LOT know Sebastian Mikosz is rude, arrogant, no charm or charisma. Eat and drink like a pig. When he was with LOT, he thought he was the CEO of Lufthansa and used his big mouth to make all sort of empty promises to Air China and CAAC not knowing in the eyes of the Chinese he is not even a small fish in a big pond. During his business trip in Beijing, he charged the cost of massages to his hotel room and let LOT picked up the bill. Sebastian Mikosz also used the company's money like water. I am sure the board of Kenya Airways will wake up soon and realize they have made a terrible mistake in picking someone with no integrity and honesty as their CEO.